‘Graal’ is the Swedish for grail and derives from the mediaeval Latin for ‘gradalis’ meaning bowl or chalice. 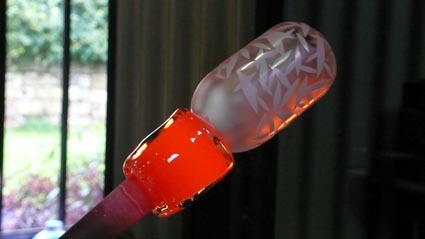 challenging of all hot glass techniques. goblets with new complex patterns. Below images of the second stage of the process the pick up through to making. Overlay and embryo making to come soon. Into the Lehr to cool overnight.